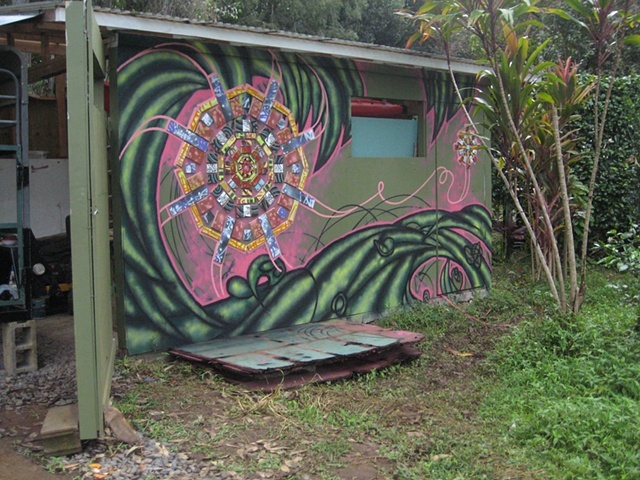 In the winter of 2009, we spent two weeks at our friend's "Art Farm", an environmentally self-sustainable rural property in Haiku, Maui. As thanks for the generous hospitality, we created this permanent piece on a bare wall of a studio on the land that she could see from her kitchen window. We incorporated the feel of the nearby ocean and the architecture of the main house, which has Indonesian inspirations and octogonal shapes throughout. 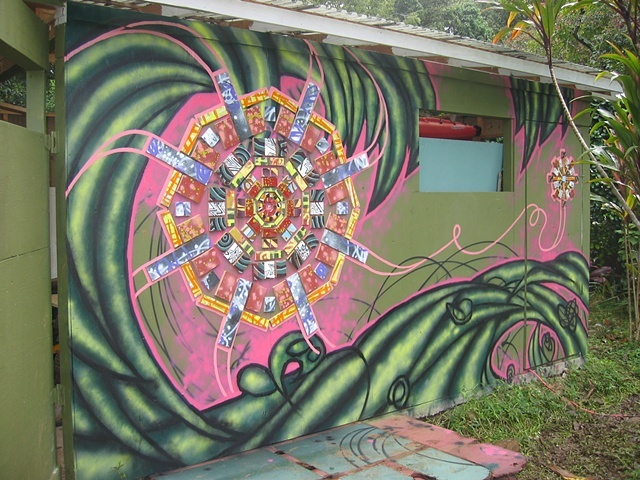 We crafted a mandala to support the meditative spirit that the property evoked.